Under the patronage of H.E. Mr. Saad Hariri, represented by H.E. Mr. Jammal Jarrah, Minister of Telecommunications, Lebanon’s first Sustainable Digital Ecosystem Summit (SDE Summit) took place from 22 to 24 January 2019 at the MEA Training & Conferences Center in Beirut. Organized by IFP Group (International Fairs and Promotions), and supported by the UN-ESCWA and the UNESCO, the Sustainable Digital Ecosystem Summit, brought together leading organizations and experts from the public, private, and educational sectors, top-tier information executives, ICT Directors, and Digital Transformation Experts from the whole sustainable Digital Ecosystem value chain, to engage in high-level discussions on the impact of the fourth Industrial Revolution and the current trends and developments disrupting the digital ecosystem, driving innovation and efficiency, and developing the digital enterprises of tomorrow. The SDE Summit was launched with the Patronage Opening Speech by H.E. Mr. Jamal Jarrah, Minister of Telecommunications, representing H.E. Mr. Saad Hariri. Jarrah stated that: “Everyone is aware of the development of the telecommunication sector in Lebanon. The growth and expansion of the industrial, agricultural and many other sectors cannot be maintained without the advancement in the digital and communication areas. So, we could not wait any longer to elaborate and prosper our divisions. We are working now on a national data center and we are at the look-out for a partner in the private sector; which will surely help us boost the digital economy”. The Summit’s high-caliber advisory board comprised H.E. MP Sheikh Nadim Gemayel; Chairman of the ICT Committee in the Lebanese Parliament, H.E. 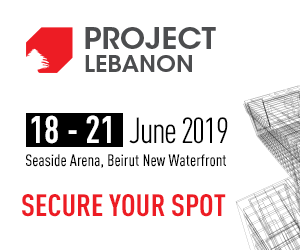 MP Nicolas Sehnaoui; Former Minister of Telecom and Chairman of UK-Lebanon Tech Hub, Dr. Fouad Mrad; Senior Program Manager of Frontier Technologies at ESCWA, and Dr. Ayman Kayssi; Associate Dean at the Faculty of Engineering and Architecture, AUB. The SDE Summit offered a rich combination of presentations, panel discussions, workshops (Capacity Cells, and Coaching Round Tables) to maximize knowledge sharing and competency building. Following the opening speech, Dr. Makram Bou Nassar, Executive Director, Head of payment Systems Department at Banque Du Liban, delivered a keynote address, explaining the new ‘Payment Systems’ Strategy of the Central Bank of Lebanon. Dr. Bou Nassar said the Central Bank of Lebanon built an advanced, well-regulated and secure payment system that abides by international standards and best practices. The Central Bank of Lebanon is currently working on the third component of the National Payment System, the “Government Payment System” and is expected to go live with this system in the coming few months. Dr. Bou Nassar added that the Central Bank is working on Cheque imaging solution. The Central Bank is also working on the necessary circulars that will facilitate the implementation of the electronic transactions law Number 81 that was ratified by the Lebanese Parliament in September 2018. General Electrics’ Chief Digital Officer, Sa’di Awienat, then addressed how can Emerging Technologies drive business competitiveness and enterprise innovation. The SDE Summit’s first Panel Discussion stressed on the importance of connecting islands of automated government processes that exist today for a holistic approach. Although it was agreed that smart government is a continuous improvement process, the importance of process re-engineering was highlighted, to harness the advantages of technology in government processes towards improved productivity, efficiency and reduced corruption. H.E. Dr. Inaya Ezzedine, Minister of State for Administrative Reform who was part of the first Panel Discussion addressed the state of smart and e-Government and focused on the impact this has on public efficiency, transparency and productivity. H.E. MP Sheikh Nadim Gemayel celebrated the implementation of the law 81, which only became effective recently, on 19 January 2019. He highlighted the importance of related mechanism awareness for citizens or community at large, and relevant capacity building for related stakeholders towards the correct implementation of the subject law and avoidance of possible abuse by individuals or institutions, especially that this law recognizes the value of e-documents as a reliable juridical proof. Mr. Imad Kreidieh, DG & Chairman at Ogero shared plans for the new Lebanese Cybersecurity Centre and Digital Strategies for Lebanon, which can quickly change the business environment and keep young talent at home while attracting Foreign Direct Investment and support inclusive growth. The SDE Summit hosted 51 speakers who are experts in their fields, bringing much depth and know-how to the table, while discussing technological disruption from various angles. Over the course of three knowledge-packed days, the summit’s rich program explored the rise of the fourth industrial revolution (4IR), its impact on businesses and society, and the role of the Lebanese government to maximize the benefits of the 4IR. The summit also highlighted the competitive advantage of employing AI technologies and incorporating Internet of Things (IoT) to develop smart schools and benefit from digital transformation to advance the education system in Lebanon. From a fintech perspective, the SDE Summit shed light on how blockchain technology can help protecting clients digital identity in a Digital Age. The summit also provided in-depth insight into the challenges and opportunities for entrepreneurs in Lebanon, as well as the skills that are required to stay ahead of the curve and thrive in a fast-paced and tech-driven environment. 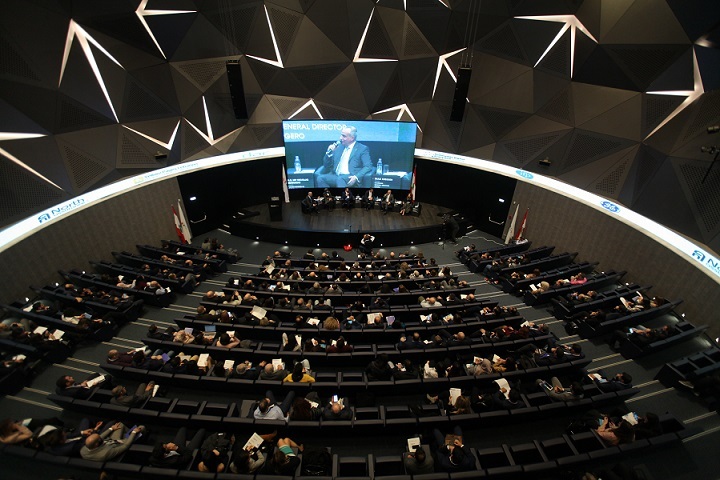 The Summit’s third day addressed the collaboration between the public, private, and educational sectors to optimize the benefits of emerging technologies and how municipalities can best utilize the Emerging Technologies to serve the Lebanese citizen. Represented in that panel were the municipalities of Beirut, Brummana, Cornet Chahwan, Ain Aar, Beit el Kikko, El Hbous, and former mayor of Tripoli. Following several insightful presentations and panel discussions, a paper of recommendation session was held by the summit’s advisory board, represented by H.E. MP Sheikh Nadim Gemayel, and the SDE Summit’s panel discussion moderators to summarize the outcome of this summit and recommend an action plan to be presented to executive bodies, and lobby for these recommendations to initiate implementation. The end of the third day’s sessions was marked by a word from Mr. Albert Aoun, chairman of IFP Group, who thanked the advisory board and all the speakers for being active initiators of digital transformation and development. He also thanked the management of the Middle East Airlines for offering this state-of-the-art venue. The Sustainable Digital Ecosystem Summit was held in partnership with: General Electric; North Assurance; Yellow Pages Lebanon; Dar Al-Handasah; Middle East Airlines; UK-Lebanon Tech Hub; American University of Beirut; Executive; and Barista; with the support of UN-ESCWA and UNESCO.